I've been updating the S Scale page, put pictures of our O Scale productions of the same cars. Put in lists of cars in each 6 car set, and extra cars to be offered. It will take another day to finish, but feel free to browse. Doug, we have a new LED light board. Started with our HO Harriman cars. We will be selling these as a separate item. Each board has 8 tiny surface mount LEDs, 21" in length, with LEDs at either end and can be cut to any size. Rigid and easy to install in all your GGD cars. Will go into the O Scale Silver Meteor first in O Scale. Always improving. I hope this is a success. Out of my budget range though. I am surprised that the CZ isn't one of the choices, since these are aluminum cars, and the CZ were all stainless cars. Seems a natural to me. . . .
1. How long will the 'shortie' cars be (72 scale ft.)? What will be the minimum operating radius for these cars? 2. Same questions for the scale length cars...how long (80-85 scale ft.)? And what will the minimum operating radius be? Usually take 75% of an O gauge measurement. That's close to what is possible in S. But a radius is a radius. 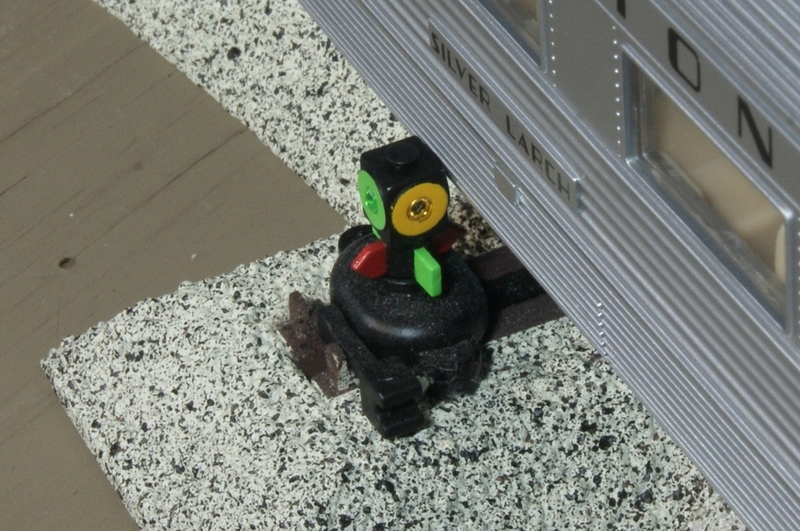 So if an O gauge car can do a 20" radius, so can an S gauge car which is shorter so the trucks don't have to deflect as much. At least that's how I see it. I've been driving for the past 8 hours, so forgive me if I'm wrong. Scott, the American Models Budd cars are 13-3/8" long, (about 71' scale feet long) not counting the diaphragms. They negotiate R20 curves fine, but will scrape against the switch stand on SHS/MTH ScaleTrax R20 turnout. I don't know about Lionel's S FasTrack R20 turnout or traditional Flyer turnouts. Seems like scale 70' cars would be the target length for shorties would be my guess. Hope this is of some help. There is another consideration that has not been brought up regarding radii and couplers. The 72-foot shortened versions, similar to AM Budd cars, with American Flyer compatible couplers should pose no problems. The full-length 85-foot versions will not work with R20 curves. However, they will better negotiate wider but still narrow curves if there is an option to have scale, Talgo-style couplers rather than body mounted couplers. I have American Models' full-length streamlined and heavy-weight models with AM scale-sized couplers and high-rail wheels that will work on even 25-inch curves--if operated slowly--every curve except one "industrial switcher only" curve. In an attempt for more realism, I tried body mounted couplers; but they caused frequent derailments for the full-length passenger cars. I would suggest an option for Talgo-style coupler for those who need to compromise between prototypical realism and realistic space limitations. For those who have the room, body-mounted couplers would be their first choice for the greatest accuracy. Since our AF couplers would be truck mounted. The mount comes off the truck bolster with two little screws. We could make Talgo coupler mounts that affix to the truck bolster if we have enough interest. So far most of the orders we are getting are for Scale Length and Scale wheels. This might be moot point. I figured him to be on this topic instantly! Here are the scale length cars in S the scalers have been waiting for. I run the S scale Facebook group (over 1000 members and growing) and that is where I spend the majority of my S scale time these days. We have been discussing this topic over there for a couple days. This is very exciting news. I tried to tell everyone that Scott was the man that could bring new products to S 6 years ago. I'm very hopeful that these will get made and hopefully stave off the Demise of S scale for a little longer. Scott has said that he is willing to build just about anything as long as he can get the orders. I tried in vein to drum up support for an Erie Berkshire 6 years ago, but there was a lot of bad blood from the scale community. I really hope that it is different this time. Scott's O scale cars are very nice. They would instantly become the BEST passenger cars ever made in S regardless of what they are made of. I really want to support this project but need passenger cars that better fit the 1950's/1960's era. Since these are 1937 (Super Chief), 1938 (Broadway) and 1939 (20th Century) I'll most likely be passing on them - just a bit too early for my era. The price is not an issue as I know GGD makes accurate quality products - it's justifying the cost for how these sets would fit my layout's era/location. I do understand Scott going with what has been the best sellers for GGD in O scale to better gauge the S market with this initial offering. Still may order a Super Chief or post-war Broadway - I'm sure I have at least a few months to think it over before the reservation period ends. It's not like these cars disappeared when the clock read 1950. Many if not all remained in service up to Amtrak. The Acoma still exists as Private Varnish and the Navaho resides at the Colorado Railroad Museum. Rusty - I am well aware cars from these sets ran into the 1960's and beyond. However it is hard to justify taking a $300 car and repainting it for later use such as Penn Central or Amtrak. Your pictured examples of the 1:1's are in museums or charter service which was not the case back in the 1960's and 1970's. An example is your NYC Hickory Creek which I believe went right from NYC ownership to the Ringling Brothers circus then to a museum. So it is useless to me for Penn Central or Amtrak use as I'd like to be reasonably accurate in the use of appropriate models. 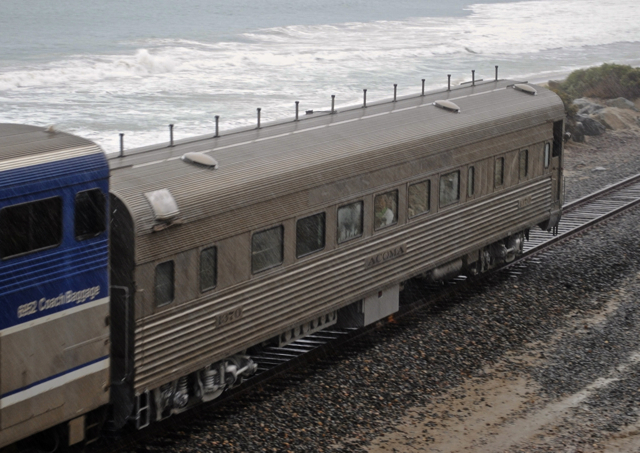 Now if we are talking about a California Zephyr dome-observation some saw service with Burlington Northern then Amtrak - could make a case for that but at this time Scott is not offering CZ passenger cars. 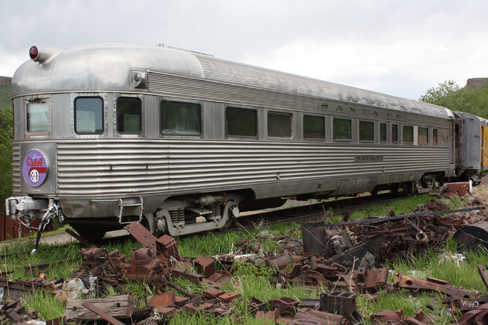 The Santa Fe 'Acoma' (another of your examples) never saw use with Amtrak as it was sold in 1971 to someone from Ohio and later rebuilt for charter work. So you can see I am not a "toy train guy" who is clueless about later service / preservation of equipment in the real world - I do my research! I'm also not a rivet counter who demands 100% accuracy but I like to be plausible and close as possible. If most cars in a set can be used for my era I may consider same but if most didn't I'm less likely to buy. 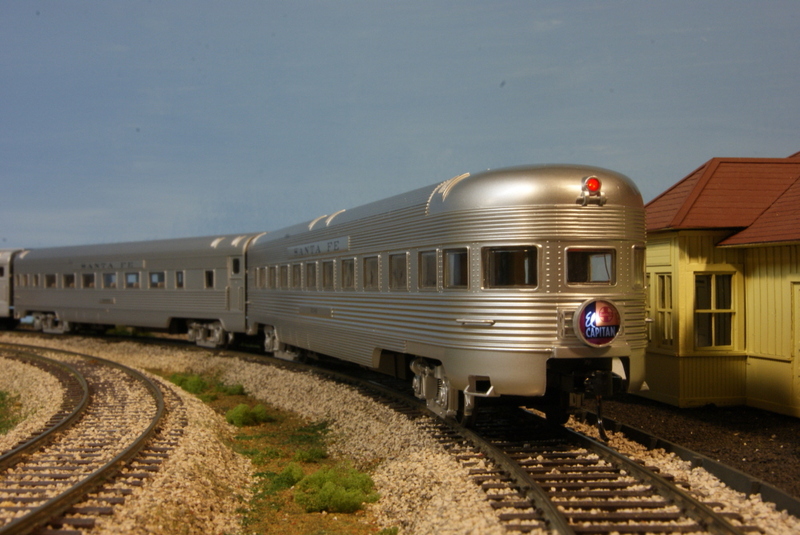 I'm also aware how Scott has trouble getting reservations for the proposed Amtrak Amfleet I project in O-scale. GGD has also had trouble selling sets decorated for Amtrak in O such as the Santa Fe 'El Capitan' hi-levels - think only three sets were made in the first run. So while it should be 'easy' to offer an Amtrak version of a set most times there is not enough interest to make it economically feasible for the factory to do. If you think Amtrak is not popular I bet Penn Central will blow it away in that regard. I realize I'm in the minority here when it comes to what I like and am aware compromises have to be made at times in model railroading. If my square peg does not fit the round holes so be it. It is my money and I need to decide if I can live with the historical inaccuracies or possible repainting (which is a shame in itself given how nice GGD offerings are) work if that avenue is pursued. If you wish to buy all three sets and run them side by side on your layout or mix them up more power to you but that is not my money or style. So if Scott had offered the Budd stainless edition of the NYC Empire State Express I would have pulled the trigger on a set in S as it would be much more useful to me for Penn Central / Amtrak use. I need to do what is best for me as I do not have unlimited funds to throw at this hobby like most of us so need to be careful about my purchases. Hope that you can understand that. Train of Tomorrow Promotional Video. Scott Mann, with this new production capability, is there room for small numbers of different paint schemes as well? For example Amtrak sets. 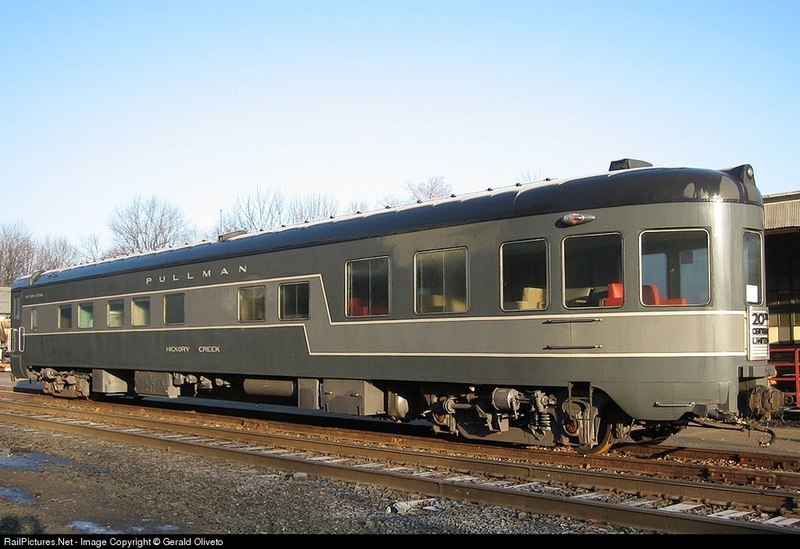 Scott Mann - Thank you for the update on that GGD can offer undecorated and Amtrak sets/cars in S. One question - when it comes to a stainless steel passenger car in 'undecorated' would it come painted to simulate the stainless finish, be plated or a natural aluminum finish? This question applies to Budd equipment and Pullman-Standard cars with the fluted lower sides. IIRC in a thread regarding your O-scale passenger cars GGD prefers to paint the "stainless steel" finish as it can be more consistent in appearance when placing different production runs next to each other compared to plating. Think there was mention of controlling the plating quality and rejection rate of same were factors too. I assume any undecorated smoothside equipment would need primer and paint which is understood. Only asking so I know what you mean by undecorated on GGD passenger cars. Personally a painted finish is best for me - I never cared for the highly chromed look that plated equipment has. Baby steps... I think Scott has to see how well the passenger cars do before considering a locomotive. 3rd Rail tried an S Scale locomotive (an S.P. P-10 semi-streamlined Pacific) some years ago. Now there were likely several reasons why that project was cancelled, so doing passenger cars may be the key getting the GDD/3rd Rail nose in the S Scale tent at this point. Give it a little time, reservations have only been open for a week. These sets are BTO. Scott has been pretty good about informing folks if and when things get produced or cancelled. In time, those of us who have reserved these sets will get an email saying either send money or that the project has been cancelled. Although I realize the S Scale market is smaller than O Scale, the enthusiasm is none the less. We are collecting reservations and by late this year we should know if we have enough to schedule production for next year. So keep reserving, please. This is how we base our order to the factory. Yes, if we offer undecorated sets we would sell them painted in the stainless steel color we use. We don't plate, or anodize, but find our paint to be the best method to get a uniform and durable finish. Thank you all for your support and suggestions.